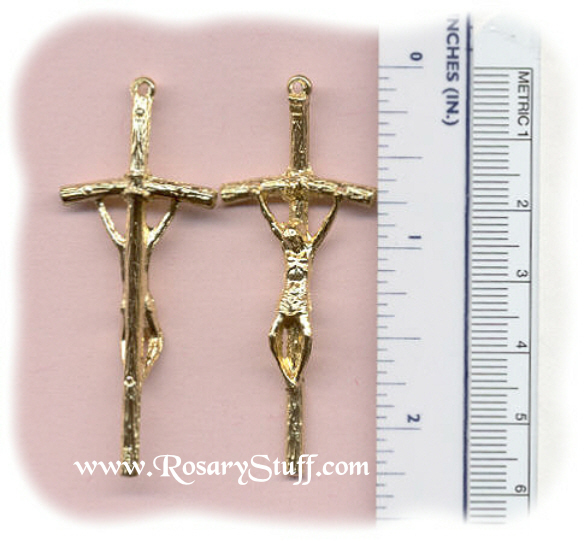 Papal Crucifix (Medium) ~GP~ 2 1/4 in. Italian BRIGHT gold plate Papal crucifix. Approximately 2 1/4 inches tall (including ring) and 1 inch wide.